A helpful way to prioritize what is impacting your client. 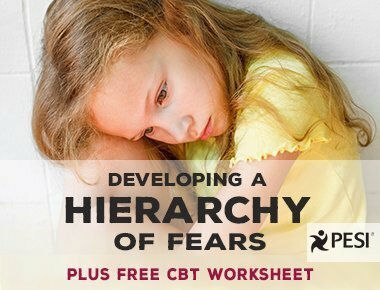 Plus, a FREE CBT worksheet! Anxiety is a necessary bodily response, alerting the body to potential danger and enabling the “fight or flight” response. Physiological responses are the body’s way of trying to be proactive to react to what is going on in the environment. Anxiety becomes an issue when the physiological responses are triggered more often and reinforced by negative thinking and worry. Worry takes over, and small issues cause overwhelming feelings and general lack of control. To reduce the impact of anxiety and identify coping strategies, individuals must understand how anxiety is triggered, how it manifests, and how it is impairing daily functions. Anxiety can also present as a comorbid symptom along with other diagnoses, such as depression, trauma and/or attention deficit hyperactivity disorder. Because children and adolescents may experience periods of increased anxiety, teaching them coping skills can help reduce symptoms and allow the client to move on. Developing a hierarchy of fears or anxiety is a helpful way for you and the client to prioritize what is impacting them the most. Start by developing the hierarchy together in-session. Work together to identify situations that trigger anxiety, but also how the client’s body feels and reacts at each stage. Our bodies respond and react to worry in different and with varying intensities, so it is important to understand what situations create worry and how the body responds. 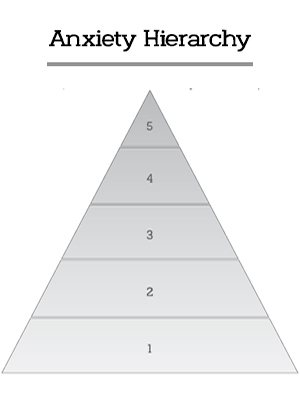 Below is a visual of the pyramid that will represent your client's response to anxiety or worries. In the largest block (1) list everyday activities that cause little to no stress. Continue listing examples of situations that increase intensity through blocks 2-4. In the smallest block (5), list activities that cause or would cause the greatest amount of worry. We all have different mental and physical responses. This exercise will help your client understand, classify and separate the "good" worry from the "bad" worry. By externalizing anxious feelings, you are helping the client make them tangible, so they can start to confront the feelings and make them "go-away." Once you have finished the Anxiety Hierarchy chart with your client, keep it handy to refer to during other sessions. As therapy progresses repeat this process to identify emerging sources of anxiety. In subsequent sessions, the client can begin filling it in themselves with fewer prompts. I'd like to also share some other great worksheets with you, that you can use in-session with your clients. The Linking Emotions, Thoughts and Feelings worksheet can help your clients build a personalized emotional reference sheet. The tool allows you and the client to explore how emotions are connected to body responses and thoughts. Consider using this tool as a family activity. Parents and siblings can complete the worksheet and then compare similarities and differences in their responses and feelings. The Goal Setting worksheet provides a structured outline to guide realistic goal development. The simple worksheet outlines steps to accomplish the goal, necessary supports from others, and has the client estimate the amount of time to reach each step. Download this practical and engaging printable tool to use with your clients today! 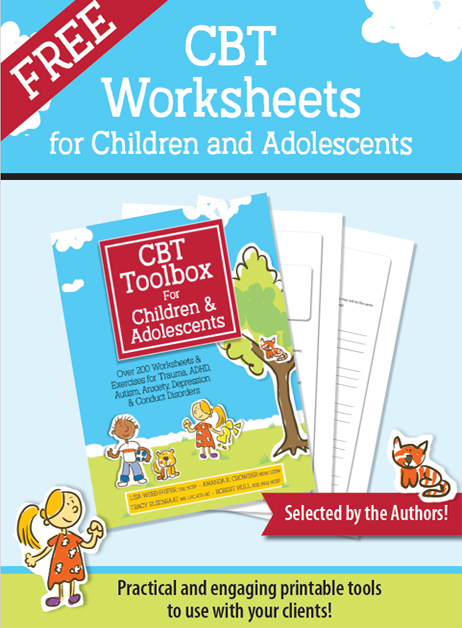 For the complete collection of over 200 cognitive behavioral therapy worksheets & exercises adapted just for children and adolescents, check out this popular resource: The CBT Toolbox for Children and Adolescents.